Comfortable older style family holiday home with large sunny deck. Easy road access. Two driveways onto property. Pour a drink, grab a seat admire the fabulous view of Queen Charlotte Sound and watch the Picton Ferry leaving/arriving. Two boat moorings available - 1 suitable for light run-about and the other 11metre maximum with a draught of 2 metres. 2mins from boat ramp and beach. Safe childrens swimming beach with stream and lots of tiny crabs hiding under rocks. Another safe swimming beach at Anakiwa 20 min walk or 5 min drive - where you can watch the Outbound people being energetic! 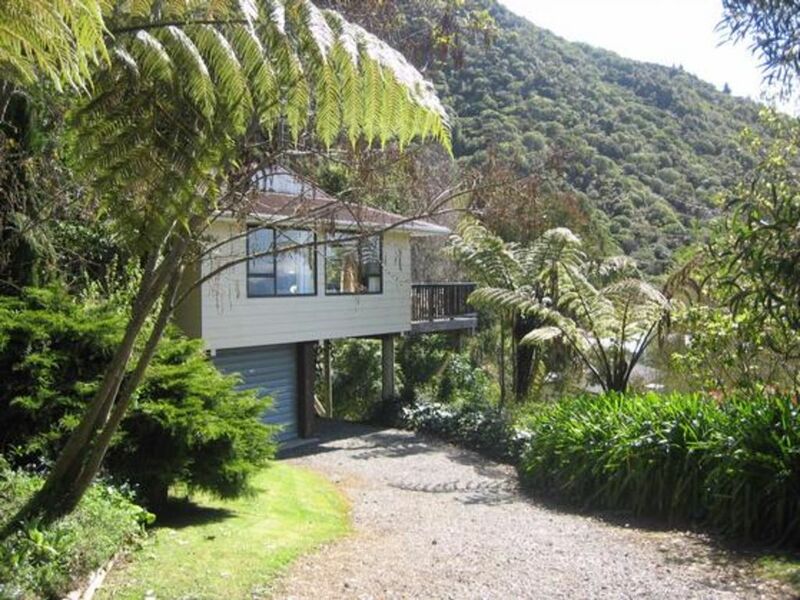 40mins from Wineries and close to Picton and Blenheim. Aviation Museum in Blenheim a must see approx 45 mins away. Nelson 1 1/2 hrs drive away. We are able to accept PayPal payments. This is a family bach and is to be left in a clean and tidy condition. No smoking or Pets. Refundable bond may be required pending satisfactory inspection after departure. All rubbish must removed on vacating. Staying for another time still an awesome locaton and house to explore the sounds... great views and a very comfortable house for the family..
Was a pleasure to have you back. So pleased you enjoyed the fabulous views.